Montage has been restoring Saarinen Executive Chairs for years in every fabric one can imagine, right in our very own workroom. We’ve restored these chairs using our supple yet durable Luxe Suede collection. Skilled craftsmen bring each chair back to life to live on for generations to come. All restoration is executed in line with original specifications. In addition to new fabric, the foam in each chair is replaced, the chrome is polished, and four brand new glides are installed. 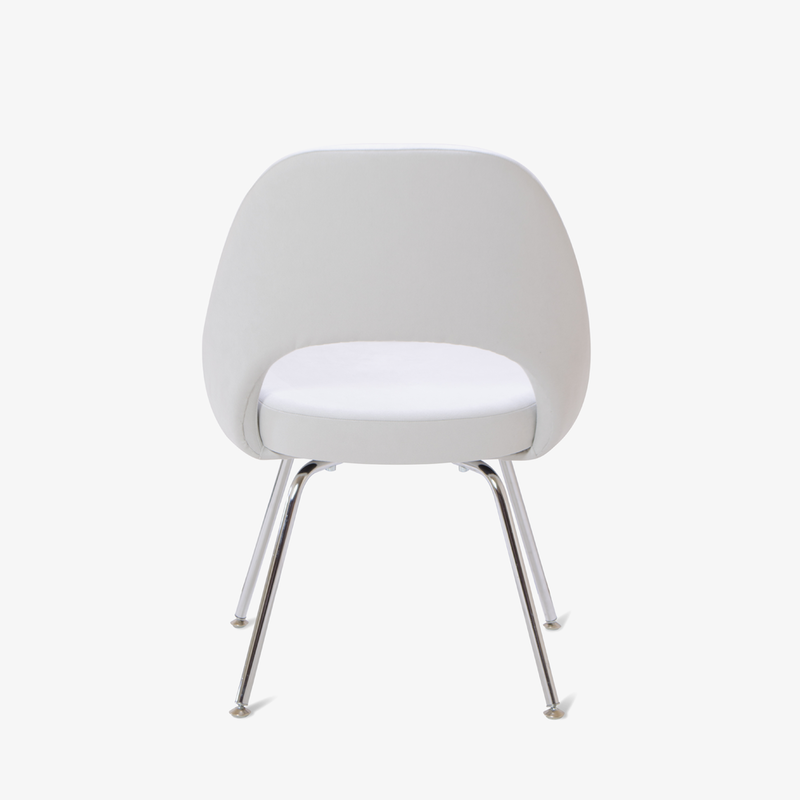 Montage's Saarinen Executive Chairs are available in any quantity and can be upholstered using our wide selection fabrics & leathers and of course COM. Feel free to contact Montage to request a swatch of material in your desired color. These are always upholstered to-order ensuring excellence in quality with every order. Montage carries both Saarinen Executive Arm and Armless chairs and offers both versions on vintage stainless steel caster bases as well as contemporary edition caster bases. The "24k Gold Edition" and "Black Edition" Saarinen Executive Chairs have added lead times to ensure perfection, worth the wait. Contact Montage to discuss customization, orders specific in quantity, our fabric collection, various leg finishes, or with any question you may have.